Having the right kind of mattress is critical getting a good night’s sleep. In fact, the type of mattress you have in your bedroom can spell the difference between a truly restful sleep and a night of tossing and turning. 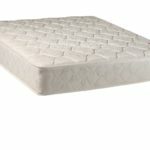 The Signature Sleep Contour 8-inch mattress is built to give maximum comfort to anyone who uses it, and this review will give you an idea of what you need to consider in terms of pros, cons, and other critical features. It might look like all mattresses are the same, but the Signature Sleep Contour 8-inch mattress will show you that this is not the case. 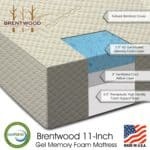 This particular mattress stands out from the rest because it’s built to support your spine. The problem with other mattresses is that they don’t have the ability to conform or adjust to your body as you sleep, and this causes back problems and pressure. 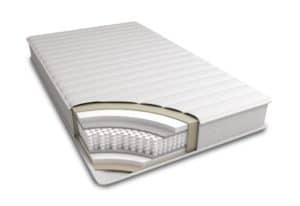 With this Signature Sleep mattress and its ability to adjust to your body shape, your vertebra is supported adequately, and this relieves pressure and distributes weight equally. The mattress contains sturdy 7-inch coils that are encased one by one, and these coils are responsible for making the mattress contour to your body. No matter how many times you move when you sleep, these coils also eliminate motion disturbance, and this lessens or even eliminates the times that your sleep is interrupted. This contouring support leads to equal weight distribution, which in turn relieves all the pressure points you may otherwise feel in your back, hips, neck, and shoulders. The 8-inch thickness allows the mattress to give maximum comfort, because protecting the coils are 2 cushioning layers specially designed for that purpose. The first is a non-woven fabric insulation pad, followed by an additional 1.25 lb high-density foam layering. After these cushioning layers is the foam-padded and poly-cotton quilted Jacquard cover, which completes the unparalleled comfort that the mattress provides. 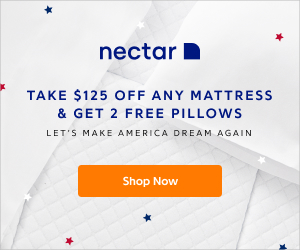 The many options in sizes make this mattress ideal for the whole family, because this means whether you’re looking for something twin-sized or king-sized, Signature Sleep Contour 8-inch mattress will have something for you. In particular however, this product best maximized by those who are experiencing problems related to posture, back pain, and those with a lot of sensitive pressure points all around their body. Anyone would appreciate a comfortable mattress, but this mattress in particular is very beneficial for those who are having difficulties sleeping through the night. Even if you’re not the one directly benefiting from it, this mattress is still ideal for those whose bedmates move a lot. If the person sleeping beside you moves a lot through the night and you have a normal mattress, chances are the motion disturbance will wake you up. Having the Signature Sleep Contour 8-inch mattress will keep your sleep from being interrupted, resulting to a good night’s sleep. Out of 4,629 reviews in online seller Amazon, this product got a high rating of 4.5 out of 5 stars, giving you the impression that it is truly everything it claims to be. Many customers mention in reviews how delighted they were at the fact that the mattress comes rolled up and in a bag. Seeing the mattress expand before their very eyes to its full size is a neat trick, and it’s actually something a lot of people look forward to. It’s a little surprising how something so big can be compressed and then just inflate itself, but this is part of the fun. Because it comes this way, it also certainly makes shipping (and on the customer’s point of view, just waiting for it to arrive at their doorstep) a lot more convenient. 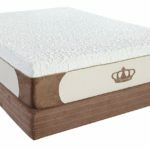 Quality is another thing that users point out in their reviews, because even those who have had it for a long time are satisfied with how the mattress is holding up. 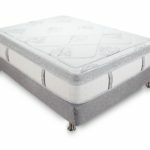 Even after years of use, the mattress manages to maintain its firmness and quality, without becoming squeaky or saggy. People also comment on how the mattress is really effective in making people with back problems sleep more soundly at night. Even those with scoliosis can sleep through the night without waking up all the time, unlike with normal mattresses. For that amazing quality and such a relatively cheap price, this mattress is almost a steal. 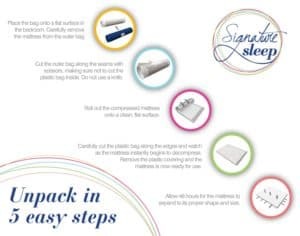 Signature Sleep Contour 8-inch mattress is something that you should consider if after reading all the pros and cons, you’re convinced that it’s something you’ll be satisfied with. 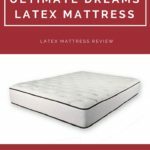 Remember that if you purchase this online, you’ll technically be purchasing a mattress without having felt or touched it first, but if you base it on the current reviews and on what customers are saying, then it looks like you have a lot of satisfied people. What makes this bed great is that it gives you access to a quality mattress without breaking your bank. 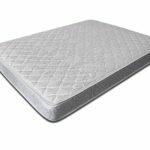 It comes with special features that you don’t find in other mattresses, and it’s great for those who need help sleeping at night. More importantly, all you have to do is purchase it online and wait for the package to arrive.